Kits: If you’re not using a mod, go with the SOPMOD. This mission is based around silence, and if you’re not using a silenced weapon, you won’t get very far in this mission. The rebels have taken over a communications center in Peru, and you need to get it back. Unfortunately, there are explosives on top of the building, and if the rebels are alerted to your presence, they will stop at nothing to detonate them. Furthermore, once you’ve secured the building, you need eliminate their entire beach camp, which is crawling with tangos. As you can see, the map is heavily defended on the east side, with absolutely no resistance on the western half. When the mission starts, you will see a Peruvian soldier approaching you. Follow him with your lone soldier in Charlie up into the command tower, and await further instructions. 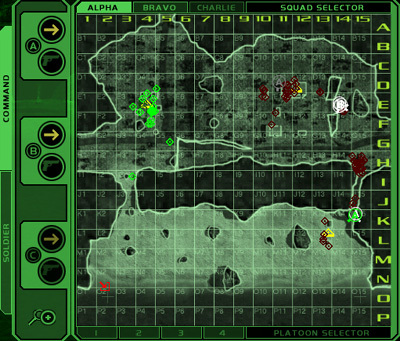 Once you have your orders move into position so you can see the one enemy on top the command center. Once you’ve taken him out, wait until the two below him and to your left have turned, and gone behind the building, and then make your way to the door, only moving when no one can see you. It is imperative that you do not shoot anyone outside… yet. … and eliminate all tangos inside. 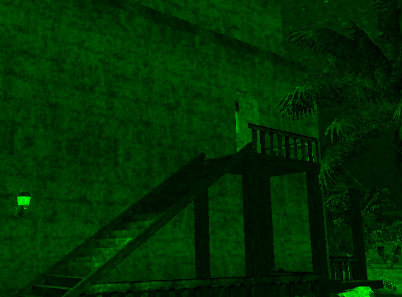 Once you’ve done that, a message block will appear, saying you have control over the building. After that, make your way to the roof, and create some sort of noise. (Tossing out a frag is a good choice.) Once you’ve done this, two things can happen. The first is that all the enemies in the surrounding area will try and make their way to the roof. If that happens, lie down on the roof, and pick them off as they file their way through the door leading to the roof top. The other thing that could happen is, well, nothing. 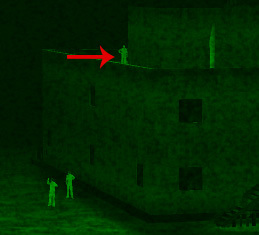 In this case, leave your lone Charlie Op on the roof, and switch over to Alpha. 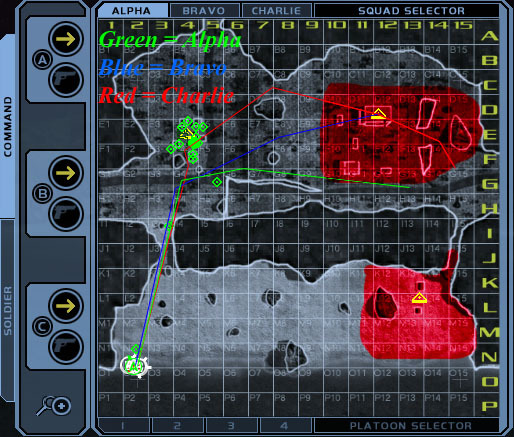 Using Alpha, make your way to the command center with the route provided, and start eliminating the rebels. Lay Bravo here, and sit their ROE to Suppress. Now, with your Charlie Op, slowly go down the pathway leading to the beach, create some noise and run back up. Turn around, and with you controlling Charlie, and Bravo set to Suppress, you will mow down all that make their way up the path. A few may stick to the camp, so take a squad of your choosing and eliminate the final enemies. As you can see, the path leading up the command center is quite a choke point! Hopefully you had fun completing the second mission in Jack’s Postcards from Peru, and now it's on to the third!